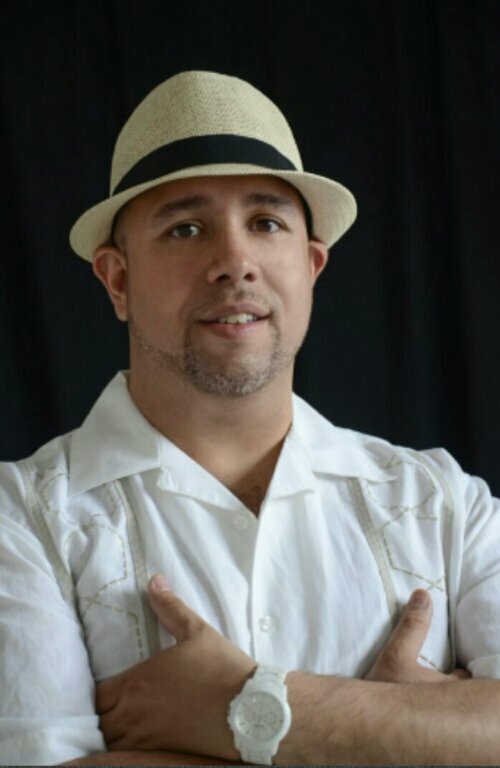 José Roldán, Jr, born, raised and currently residing in the Bronx, wrote ‘Father Forgive Me For I Have Sinned’ – for which he is receiving the HOLA award for Outstanding Solo Performance – as an autobiographical piece on growing up in the South Bronx during the 1980s and ’90s and dealing with his own sexual identity in an all too familiar latino household ruled by a father’s machismo softened by the love of a mother. After missing the performance several times before, this summer I was fortunate enough to go on this journey with José as he performed this one man show and I will say that I was not prepared for what I witnessed. José Roldán, Jr masterfully takes you on this journey and paints the scene for you with such clarity that you ARE sitting with him and his family, watching as the drama unfolds. When he gets into one of the many characters that is his family, you are not watching José but instead you are witnessing Bruja Tía or the his sister, the queen of Freestyle. Being an out, gay male who grew up in the South Bronx I could easily identify with the trials and tribulations which José Roldán, Jr went through but the core message of acceptance by your family transcends the gay world and you can easily see how this show relates to many different aspects of our family lives. Tickets are $8.00 but hurry before it’s sold out! You can also follow the show on Facebook for the latest information! Once again, congratulations to our very own José Roldán, Jr!